ShieldMe is the PUP that uses misleading techniques to prevent removal. Use Reimage to locate malicious components and get rid of them faster than with uninstall instructions. A full system scan blocks virus reappearance and prevents traffic to malicious domains. How can ShieldMe hijack my computer? How to remove ShieldMe virus? 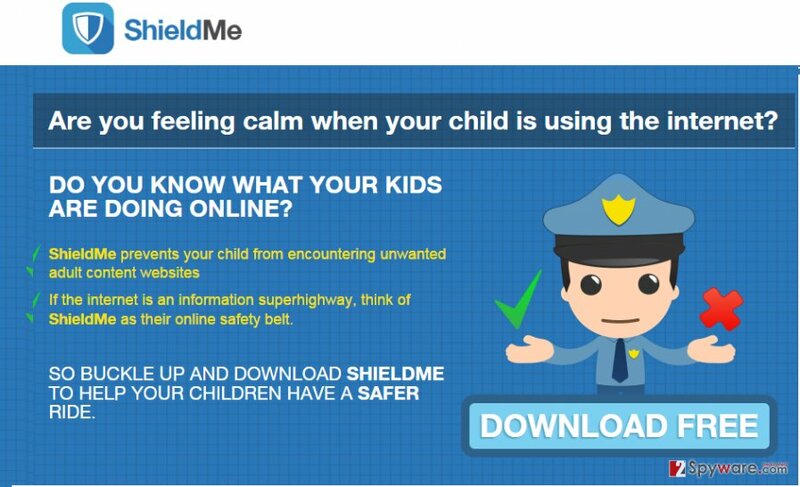 If you are very concerned about your child's safety while surfing the Internet, you can fall into installing ShieldMe add-on willingly. This program claims being able to “prevent your child from encountering unwanted adult content websites”. By the way, it claims being able to block websites that promote violence, are associated with racism and similar issues. We can only agree that this app seems really useful. Unfortunately, in reality it's just another adware that is also known as potentially unwanted program (PUP). It can appear on your computer out of nowhere and make you feel confused. That's because it is commonly distributed as an 'optional download' along with various freewares and sharewares. Therefore, if you have been not attentive enough when installing a freeware recently, it's not surprising that you ended up with an adware on your PC. ShieldMe is a very controversial program. On the one hand, it promises to block questionable websites and prevent you from visiting them. On the other hand, it delivers sponsored advertisements that may be marked as 'Ads by ShieldMe' and may be filled with links to suspicious websites. Consequently, it creates a traffic to affiliate websites and earn the money for its developers. That's why it's usefulness and reliability is highly questionable. In addition to that, ShieldMe virus may try to collect information about your online activities. For example, it may collect your clicks, search queries, investigate websites that you visit, data that you enter and so on. Even if you don't mind of being tracked, you should not ignore such activity because tracking you without permission asked may be associated with privacy violation. In you want to ensure secure web browsing, find a more reliable program. We recommend you to get rid of this one with a reputable anti-spyware, such as Reimage and do that as soon as possible. Usually, people report about infiltration of potentially unwanted programs, such as various adwares and browser hijackers after they finish installing other free software. Yes, that's the most common distribution method. PUPs commonly rely on 'bundling' that is inherent from various free programs. To avoid installing ShieldMe virus and similar PUPs, you should select Advanced or Custom installation option and try to find out what additional components your selected freeware is filled with. If you find one or even several check boxes that promote additional components, such as add-ons, plug-ins, toolbars, or extensions, make sure that you uncheck ticks that notify their installation. 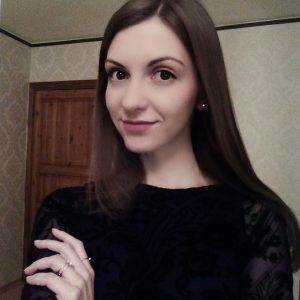 Otherwise, you may start experiencing unwanted ShieldMe redirects, annoying advertisements, system slowdowns, suspicious connections to the Internet, may constantly find an increased number of PUPs on your computer and so on. If you have already been tricked into installing a whole bundle of programs instead of one, you should not ignore the presence of those programs that got inside unnoticed. Remember that the longer you keep them on your PC, the bigger is the chance that they will cause serious computer-related issues. Get rid of ShieldMe either manually or automatically. It's your choice; however, when removing it manually you can leave registries that may keep ShieldMe virus active. That's why it's always more reliable to employ a reputable anti-spyware. Here, look for ShieldMe or any other recently installed suspicious programs. Wait until you see Applications folder and look for ShieldMe or any other suspicious programs on it. Now right click on every of such entries and select Move to Trash. When in the new window, check Delete personal settings and select Reset again to complete ShieldMe removal. Once these steps are finished, ShieldMe should be removed from your Microsoft Edge browser. Here, select ShieldMe and other questionable plugins. Click Remove to delete these entries. Now you will see Reset Firefox to its default state message with Reset Firefox button. Click this button for several times and complete ShieldMe removal. Here, select ShieldMe and other malicious plugins and select trash icon to delete these entries. Click Reset to confirm this action and complete ShieldMe removal. Here, select Extensions and look for ShieldMe or other suspicious entries. Click on the Uninstall button to get rid each of them. Now you will see a detailed dialog window filled with reset options. All of those options are usually checked, but you can specify which of them you want to reset. Click the Reset button to complete ShieldMe removal process. You can quickly scan the QR code with your mobile device and have Ads by ShieldMe manual removal instructions right in your pocket. How did you remove ShieldMe ads?